Will a dog from your area be named Best in Show at Crufts next month? The world’s greatest dog show returns for its 127th year from 8th-11th March 2018. More than 20,000 dogs and 160,000 humans will head to the NEC in Birmingham for a long weekend of celebrating dogs of all shapes and sizes. Pedigree dogs from all over the globe will compete across four days to be awarded the coveted Best in Show prize; the UK’s top crossbreeds will vie for the judge’s attention to be named Scruffts Family Crossbreed Dog of the Year; the crowds will find out which four legged hero has been voted the winner of the Friends for Life competition, and the world’s finest canine athletes will battle it out in agility, flyball and obedience competitions. White Swiss Shepherd Dog will make its Crufts debut in the Discover Dogs area. One of the most popular aspects of the show, visitors can meet almost 200 different breeds of pedigree dog at the Discover Dogs booths and learn more about what makes each of these breeds unique. The breeds coming to Crufts 2018 range from some of the UK’s most popular breeds, including the Labrador Retriever and Staffordshire Bull Terrier, to some of the lesser known, such as the Komondor and Dandie Dinmont Terrier. As well as enjoying watching the many different events and competitions at the show, visitors can also browse hundreds of stalls selling everything from pet portraits to the latest must have doggy accessories, and there will be plenty of tasty treats available for both two and four legged visitors. Weekday tickets for adults cost £15 in advance and £18 on the door, and weekend tickets for adults cost £18 in advance and £20 on the door. Best in Show tickets start from £19. Concessions are available across all four days and children under 8 go free. All tickets are subject to a booking fee. Book online at www.crufts.org.uk or by calling Ticket Factory on 0844 444 9944. 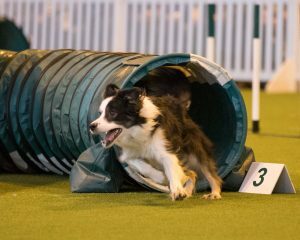 Members of the press may contact the Kennel Club Press Office ahead of the show to find out who from your area is competing at Crufts. Email press.office@thekennelclub.org.uk with the county, town or postcodes of the area you cover. Press Office can be contacted from 8am to 8pm from 8-11th March at the NEC on 020 7518 1008. Press wishing to cover the show in person are welcome to register for press accreditation in advance using the online application form at www.crufts.org.uk/content/press-centre/press-accreditation/.